The Las Vegas Philharmonic presents the critically acclaimed horror film, Psycho, on the big screen while the orchestra performs the musical score live on Saturday, October 6, 2018 at 7:30 pm in Reynolds Hall at The Smith Center for the Performing Arts. This will be the Philharmonic’s first of four Pops concerts during its 20th anniversary season. Dr. Jonathan Rhodes Lee, Professor of Music at UNLV, will host a pre-concert conversation in Reynolds Hall one hour prior to the performance (6:30 PM) for patrons interested in learning more about the music behind Alfred Hitchcock’s classic horror film. Patrons are encouraged to dress to kill as their favorite Hitchcock character and arrive early for devilish treats and entertainment provided by Red Rock Winds, a woodwind quintet from UNLV’s School of Music. 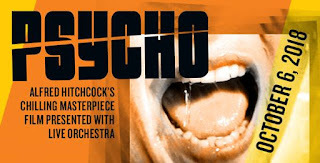 Psycho’s orchestral score was composed by American conductor and composer Bernard Herrmann. His first introduction to film came after collaborating with Orson Welles on War of the Worlds at CBS Radio. Welles hired Herrmann to compose the music for his film Citizen Kane (1941) which led to Hermann’s work on other films including The Devil and Daniel Webster (1942), Jane Eyre (1943), and Hanover Square (1945). Herrmann quickly gained attention for his innovative and intense musical scores, which were well suited for dark psychological thrillers. Psycho (1960) was one of nine Hitchcock films that Herrmann composed for between 1955 and 1966. ‘I wanted the sound of pure ice-water,’ Herrmann said when talking about his decision to use an all-string orchestra. The stabbing and screeching rhythms of the strings during the iconic shower scene almost didn’t happen. Hitchcock planned the murder scene without music, but then changed his mind after hearing how Herrmann’s musical motif intensified the victim’s screams. Fifty-eight years later, Psycho still remains one of the most influential scores in Hollywood music history. The Las Vegas Philharmonic offers a roundtrip shuttle bus service from designated Henderson and Summerlin locations to the performance. A round trip bus pass costs $25 per concert and can be purchased in conjunction with the patron’s concert ticket. The Las Vegas Philharmonic, led by Music Director, Donato Cabrera, established its presence in Southern Nevada in 1998. The mission of the Las Vegas Philharmonic is to inspire a lifelong appreciation of music through performances and educational experiences for our community that enhance the lives of our residents and the culture of our city. Music education and outreach are the cornerstones of the Philharmonic’s commitment to community. Our Youth Concert Series brings more than 23,000 children annually into the concert hall for a vital music education program, and our Cox Communications Young Artists’ Concerto Competition recognizes and encourages emerging talent among Nevada youth in the area of music performance. Our season of concerts showcases local talents alongside stellar nationally and internationally known guest artists on the magnificent Reynolds Hall stage. At the orchestra’s core are 76 contracted professional musicians, many of whom are esteemed educators who also perform in other professional productions in Las Vegas, bringing depth and variety to the organization. As a 501(c)(3) organization, the Philharmonic’s community, education and artistic programs are made possible by the generous donations and support of individuals and corporations. To join them in their mission or learn more, visit lvphil.org or call 702.258.5438. 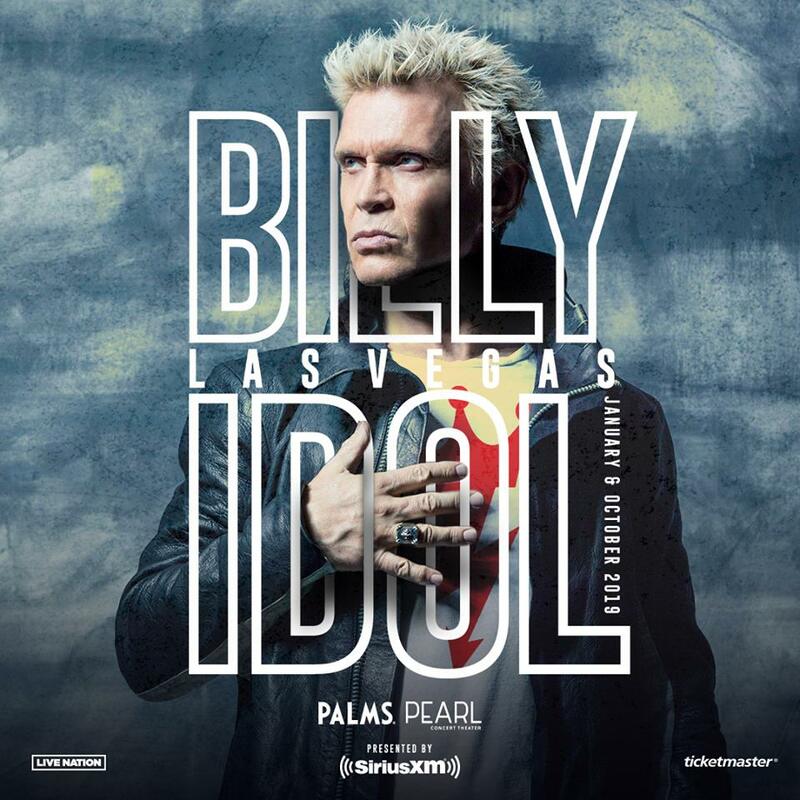 Palms Casino Resort and Live Nation present Billy Idol: Las Vegas 2019 Presented by SiriusXM. 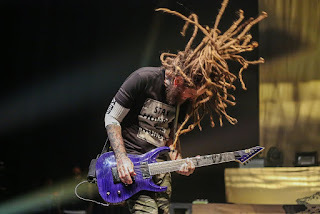 The 10-show run, which begins Jan. 18, 2019 and continues with dates throughout January and October, is the second residency show for the reimagined property and the news comes just days before Idol is set to premiere his latest release, Vital Idol: Revitalized (out on CD and Digital by Capitol/UMe on Sept. 28). From punk pioneer to global superstar, Idol has created an unparalleled niche in popular music and has remained a household name for more than three decades. Billy Idol: Las Vegas 2019 will feature material from throughout Idol’s career, from Idol’s days fronting the seminal British punk band Generation X to his hits the world has come to know and love, including “Rebel Yell,” “White Wedding,” “Dancing With Myself,” and many more. Billy Idol will be joined by his longtime guitarist Steve Stevens and the rest of the Billy Idol band who in recent years have been touring the world’s premier venues and festivals. Idol was responsible for some of punk rock’s most memorable, literate and evocative moments, and created a pioneering new sound by bringing the spirit of ’77 to the dance floor, going on to fashion an immediately identifiable musical blueprint that integrates club-land throb, rockabilly desperation and rock ’n’ roll decadence. More than 30 years after his groundbreaking Vital Idol compilation cemented the vibrancy of the dance-rock remix genre in the second half of the 1980s, Idol’s Revitalized collection, Vital Idol: Revitalized, features 11 brand-new remixes of Idol’s most classic and enduring hits. Lending their hands to the Revitalized proceedings are electronic dance luminaries Moby, The Crystal Method and Paul Oakenfold as well as current innovators including RAC, Tropkillaz, Shiba San, Juan Maclean and CRAY. Idol also hosts an exclusive SiriusXM show, Billy Idol’s Live Transmission, that can be heard on SiriusXM's 1st Wave, channel 33.For all Billy Idol information, visit BillyIdol.net. Tickets for Billy Idol: Las Vegas 2019 are $34.95 - $149.95, plus applicable fees and go on sale Friday, Sept. 21 at 10 a.m. SiriusXM listeners will have the opportunity to purchase tickets before the public on-sale date during a SiriusXM pre-sale from Wednesday, Sept. 19 at 10 a.m. PT until Thursday, Sept. 20 at 10 p.m. PT. Doors at 8 p.m., show time 9 p.m.
Tickets can be purchased at the Pearl Concert Theater box office, any Station Casinos Rewards Center or online at Ticketmaster.com. For more information, please visit www.stationcasinoslive.com or www.palms.com. For exclusive ticket pre-sale information connect with Palms Casino Resort and the Pearl on Twitter @Palms and @PearlatPalms, Instagram @Palms and Facebook - www.facebook.com/palmscasinoresort. Let's All Go To The Bullring This Week-End At the Las Vegas Motor Speedway! 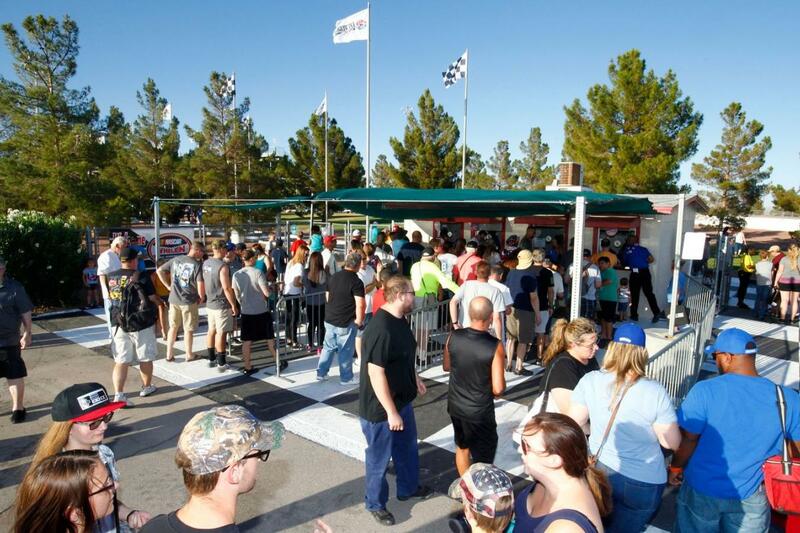 Discounted ticket prices and a double-digit slate of racing await short track fans at The Bullring at Las Vegas Motor Speedway on Saturday. Fans can enjoy a full night of 10 races at the 3/8-mile paved oval for the special rate of $5 per ticket, with seniors age 55 and over and military personnel admitted for just $4. As with all Bullring events, children age 12 and under are free with a ticketed adult. The night’s racing will be highlighted by a 50-lap NASCAR Super Late Models feature, as well as 35-lap features for the NASCAR Modifieds and Late Model Truck Series. Race fans can also enjoy 25-lap NASCAR Super Stocks and Bombers races and a 25-lap USLCI Legends feature. The USLCI Thunder Cars and Skid Plate Cars classes will dole out points following 15-lap races, and the USLCI Bandolero Outlaws and Bandits divisions have 12-lap features as part of the evening’s schedule. Points are at a premium this time of the season, so the competition will be fierce at the 3/8-mile paved oval. Season points leaders Jimmy Parker Jr. (NASCAR Super Late Models), Vinny Raucci Jr. (NASCAR Bombers), Doug Hamm (NASCAR Modifieds) and Sam Jacks (NASCAR Super Stocks) are all expected to get behind the wheel on Saturday night. Gates open at 5 p.m. Pacific Time, qualifying begins at 5:25 and opening ceremonies are slated for 6:50. Saturday’s action is the second-to-last regular season event for nine of the track’s 10 divisions, with Championship Night following on Oct. 6. One of the most affordable entertainment options in Las Vegas, the Bullring’s annual series features family friendly concession prices that include $2 hot dogs and Coca-Cola products and $3 Budweiser beer. Netflix Binging! New Hampshire Leads The Pack & LOVES "Lost In Space"
Research from entertainment pros PlayUSA finds the states who can’t get enough of their online streaming. It was also the standout state for most Netflix-related terms, with searches equal to 93% of the population each month. You might think you’re a keen Netflix fan – and if you’ve gaped lazily at your screen through enough episodes to see the “Are you still watching” screen, you might be right. But if you’re looking for the peak of Netflix viewership, you only need to turn your gaze to New Hampshire. The new study by PlayUSA finds the states with the biggest interest in streaming services by the number of searches they put in. Many states weren’t interested at all – Oklahoma, notably, only had 1.98% of the population in search volume for streaming services, and the majority had under 10% in total. Connecticut – Searches per month equal 70.25% of the popular of the state. It’s a step down from New Hampshire, but still markedly higher than most others – and it’s all in the name of searching for movies on Netflix, as well as Riverdale’s second season. Vermont – After Connecticut, interest in online streaming takes a big hit, as residents of the Green Mountain State are only conducting 12.14% volume of searches compared with their population. Their interests are completely different, however: Godless, Dark, and Mindhunter are on their watchlists. 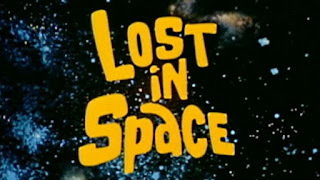 Oregon – The 11.46% search volume in Oregon is dedicated primarily to finding what’s new each month, but they also went looking for Lost in Space. Maine – 42% of the population in search volume was in the main directed towards Shameless and Lost in Space. 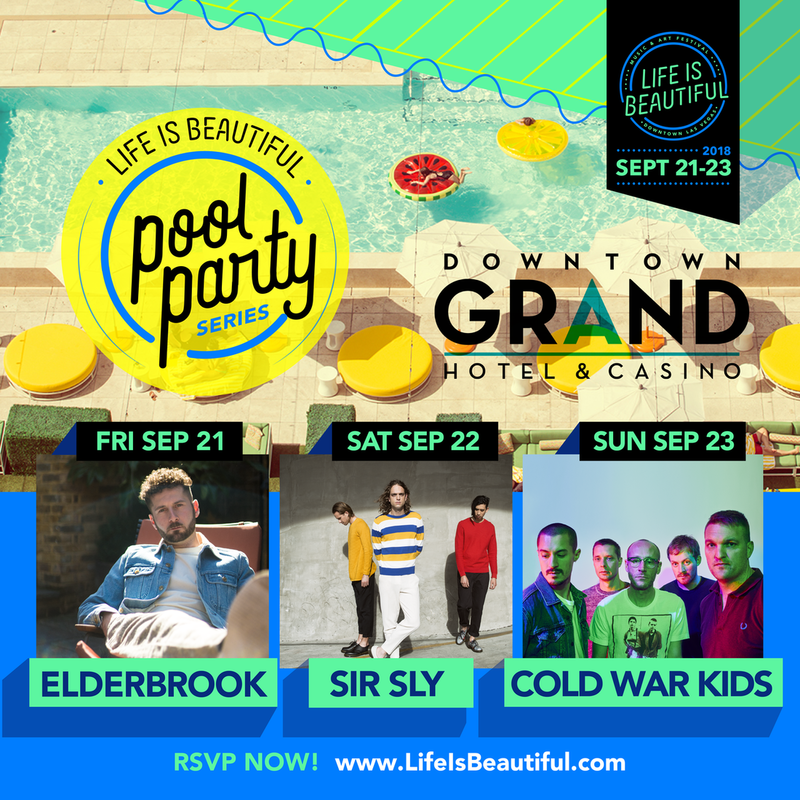 Therapy restaurant, located in the heart of Downtown Las Vegas, will grab-and-go food and drinks during Life is Beautiful Music Festival starting Thursday, Sept. 21 through Monday, Sept. 25. The American-gastro style pub will offer an array of signature dishes in bite size portions, and sold in paper cones, for festival-goers. Selections will include fried mac and cheese balls and chicken meatballs, each priced at $10; truffle parmesan fries, priced at $7; loaded fries made with parmesan, bacon and truffles, priced at $7; and classic French fries, priced at $5. In celebration of the music festival, and also available to be taken on the go, Therapy will offer new cocktails including the Let the Fun Be-Gin, made with Bombay Sapphire gin, Peach Reàl, simple syrup, club soda and garnished with fresh peach, priced at $10. Plus, Therapy’s boozy popsicles, Notter Pops, will be available in blueberry, blackberry, strawberry and raspberry, and made with either tequila or vodka, priced at $5. Well shots, draft beer, select bottled beers, and Therapy’s signature house wine will be priced at $5. Therapy, one of Downtown Las Vegas’ top dining destinations, is located at 518 E. Fremont St. in the vibrant Fremont East Entertainment District. 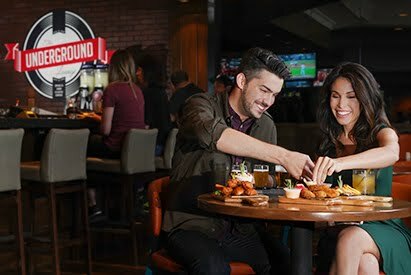 Combining an American gastro-style menu and full bar program with more than 40 craft beers, Therapy has been named as one of the best restaurants in Las Vegas by The Daily Meal for 2016 and was featured on Travel Channel’s “Food Paradise.” The restaurant is open from 11:30 a.m. to 11 p.m. Sunday through Thursday and from 11:30 a.m. to midnight Friday and Saturday. More information may be found at www.therapylv.com, calling 702-912-1622 or following on Facebook - www.facebook.com/TherapyLV/, Twitter-twitter.com/Therapy_LV and Instagram @Therapy_LV. Festivalgoers interested in attending the daytime celebrations can RSVP here - www.eventbrite.com/e/official-life-is-beautiful-pre-festival-pool-party-series-tickets-48620812158. Fronted by vocalist Landon Jacobs, the weekend heats up with a Saturday takeover of atmospheric pop sensation SIR SLY, who look to give fans an encore performance of their Life is Beautiful debut from the night before. 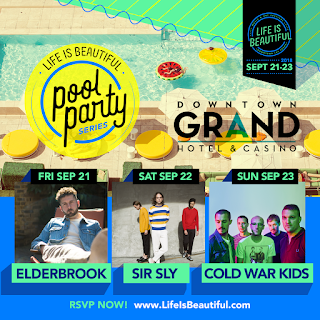 Rounding out the exclusive pool party concerts will be a soul-tinged rock performance by COLD WAR KIDS on Sunday. With hits that include “Louder Than Ever” and “First,” this Long Beach indie-rock collective is widely known for their passionate live shows and dynamic stage presence. With doors opening at 10 a.m., Citrus will offer poolside partygoers food and drink specials as well as access to cabana packages throughout the weekend. Tickets to pool parties are limited and will be on a first-come, first-serve basis. RSVP required for ticket opportunity but does not guarantee entry. Attendees must show eventbrite ticket at the door for first-come, first-serve, entry advantage. All entry based on occupancy. Events are 21+ over. Fri-Sun, 9/21-9/23 | Doors open at 10 a.m.
Hooters Casino Hotel is the prime spot for football fans this season with free parking and $5 buckets including five Bud, Bud Light or Michelob Ultras available every Saturday and Sunday starting at 9 a.m. throughout college and professional football season. For more information about Hooters Casino Hotel Las Vegas, please visit www.hooterscasinohotel.com/. Contemporary local artist James Stanford presents a new exhibition featuring photomontages of vintage Las Vegas landmarks and the city’s famed neon signs. The free exhibit will be Friday, Sept. 21 through Saturday, Dec. 8 in The Studio at the Sahara West Library, 9600 W. Sahara Ave. A welcoming reception with Stanford will be 5:30 p.m. to 7 p.m., Thursday, Sept. 27. Heavily influenced by his native Las Vegas roots and surroundings, Stanford is an innovative artist who revisits the vibrant energy of 1960s Vegas with this collection. Entitled Shimmering Zen, he will feature a range of intricate digital collages of original photographs that capture the city’s iconic aesthetic and particularly its neon signs. 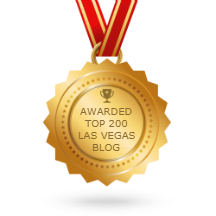 Some of the pieces include The Neon Museum, Fremont Street, Fong’s Garden and the Circus Circus, Flamingo, Golden Nugget, Tropicana, Caesars Palace and Binion’s properties. Stanford’s use of traditional photography and digital techniques make his Shimmering Zen work unique and compelling. Drawing on his expertise as a painter, photographer, professor of colour theory and pioneering advocate of new technologies in digital art, he layers photographs to create and discover patterns in familiar, yet completely revitalised, images with bold colors and intricate patterns that create mesmerising designs. Shimmering Zen also reflects Stanford’s continued interest in transforming reality into imagined realms. As an artist, he is concerned with the development of a visual expression of spirituality. Drawing on the ancient traditions of Buddhism, he conceives his digital montages as “modern mandalas” – maps toward inner zen. His work responds to the potency of the “mandala” as a symbol and its influence and importance to cultures worldwide. “When you open up your mind, you become so full of this one vision, everything becomes pure energy, pure light. That’s Shimmering Zen, and incorporating iconic Las Vegas images for their beauty, uniqueness and historical significance in the city and my life makes this collection even more special,” said Stanford. Shimmering Zen features 46 works Stanford created during the past 20 years. 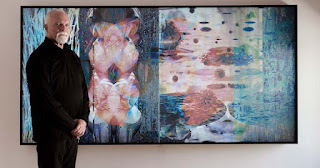 In addition to the Las Vegas pieces, he will incorporate new works inspired by his recent visit to London, such as a large scale triptych (96’’ X 192’’) printed on metal and composed of three mirrored montages featuring Buckingham Palace, entitled Trioca Pentaptyc. Many of the exhibition’s pieces have been compiled into Shimmering Zen, a large-format, 264-page hardback book of 150 of Stanford’s original works that will be launched in the United States at the Neon Museum on Oct. 13. The book is being distributed through Midpoint, a subsidiary of Ingram Content Group and is available through Amazon and Smallworks Press, a specialty arts and publication company. Hours for the Shimmering Zen exhibit will be 10 a.m. to7:45 p.m., Monday through Thursday, and 10 a.m. to 5:45 p.m., Friday through Sunday. For information, call 702-524-1019, visit www.shimmeringzen.com or email info@shimmeringzen.com. Benihana, the nation’s leading operator of Japanese-inspired Teppanyaki and Sushi Restaurants, is celebrating National Fried Rice Day with free rice upgrades. 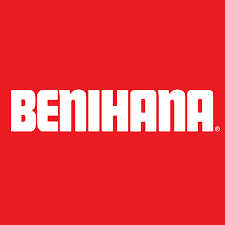 Taking place Thursday, Sept. 20, 2018, all guests who purchase an entrée at Benihana’s Westgate Las Vegas Resort & Casino location will receive a free upgrade of the restaurant’s unique signature dish, Benihana Fried Rice. Officially designated by the National Day Calendar, Benihana will further commemorate this new holiday by grilling Benihana Fried Rice for 42 consecutive hours, in an attempt to break the Guinness World Records title for “longest cooking marathon.” Benihana master chefs Andrey Shek (New York 56th Street) and Raymundo Mendez (Chicago Hancock Tower) will cook the Benihana Fried Rice over a 500-degree grill at two of Benihana’s flagship restaurants, its Midtown location in New York City and its Michigan Avenue location in Chicago. Guinness World Records rules permit chefs to take short, five-minute rest breaks every hour. Located inside Westgate Las Vegas Resort & Casino, Benihana offers one of the most exciting choices for a fine dining experience in Las Vegas. At Benihana, guests enjoy delicious Japanese menu options prepared exhibition-style by masterful chefs on Teppan grills. Exceptional choices include fresh sushi appetizers and entrées that feature free range chicken, New York strip steak, filet mignon and fresh lobster tail. The Benihana dining experience provides guests an authentic cultural adventure in a setting of lush Japanese gardens and flowing water features. Benihana opens daily at 5 p.m. For more information or to make a reservation, visit www.WestgateLasVegas.com or call 702-732-5755 (between 8 a.m. and 4 p.m.) or 702-732-5821 (between 4 p.m. and 10:30 p.m.) Group reservations, special group menus and private rooms are available. Benihana is a non-smoking restaurant. Find the Westgate Las Vegas Resort & Casino on Facebook - www.facebook.com/WestgateLasVegas and follow on Twitter - twitter.com/WestgateVegas. 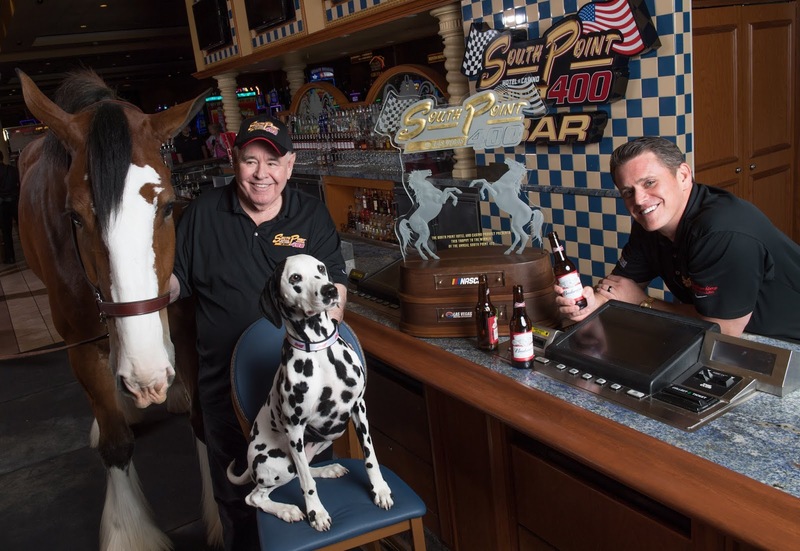 Red, one of Budweiser’s world renowned Clydesdales, and April, the official Budweiser Dalmatian, joined South Point Casino owner Michael Gaughan and general manager Ryan Growney at the South Point 400 Bar for a cold one on Thursday, Sept. 13. Kicking off the South Point 400 Monster Energy NASCAR Cup Series race weekend Gaughan gave April and Red a sneak-peak of the official South Point 400 trophy. Drink To Hockey Season At Cabo Wabo Cantina With A "Golden Mule"
Cabo Wabo Cantina, located inside Miracle Mile Shops at Planet Hollywood Resort & Casino, will celebrate throughout hockey season with viewing parties for professional hockey games beginning Wednesday, Oct. 3. Showing support for Vegas’ home team, Cabo Wabo bartenders will mix up the ‘Golden Mule’ cocktail, handcrafted with vodka, St. Germain, mango puree, pineapple juice and fresh lime juice, topped with ginger beer, priced at $12. Dos Equis beer buckets, priced at $23, will also be available. Games will be shown throughout the cantina on flat-panel big-screen TVs, including a 200-inch video grid, a 200-inch projection screen, a 110-inch high-definition TV, two 80-inch high-definition TVs and 25 high-definition TVs, visible from any seat in the restaurant. Groups of up to eight people may reserve private hockey viewing parties in Cabo Wabo’s exclusive VIP lounge, which includes exclusive access to two big-screen TVs and a private skybox overlooking the main dining room. For more information, guests may visit cabowabocantina.com or call 702.385.2226. More information about Cabo Wabo Cantina is available at www.cabowabocantina.com, by calling 702.385.2226, by following Cabo Wabo on Twitter - twitter.com/cabowabolv and liking Cabo Wabo on Facebook - www.facebook.com/CaboWaboLV/ . For more information about Hagar and his famous Cabo Wabo Tequila, guests may visit www.redrocker.com. 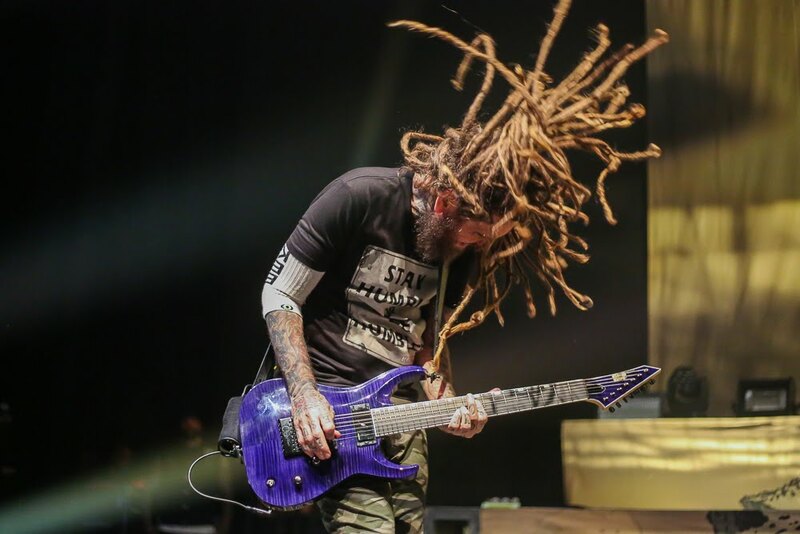 A massive sold-out crowd rocked out to an amazing live performance by KORN at The Pearl at Palms Casino Resort Saturday night as the band played one of just three shows celebrating the 20th anniversary of one of the most seminal alt-metal records of all time, Follow the Leader. This intimate performance found the band performing most songs from that album including “Freak of a Leash,” “Justin” and “Got the Life,” but the rockers also performed songs from throughout their career including “Falling Away from Me” from the Issues album and “Here to Stay” from Untouchables, amongst others. 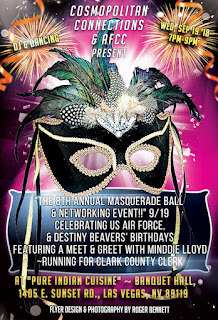 “The 8th Annual Masquerade Ball & Networking Event!" Wants You To Attend! Celebrating US Air Force, & Destiny Beavers' Birthdays! 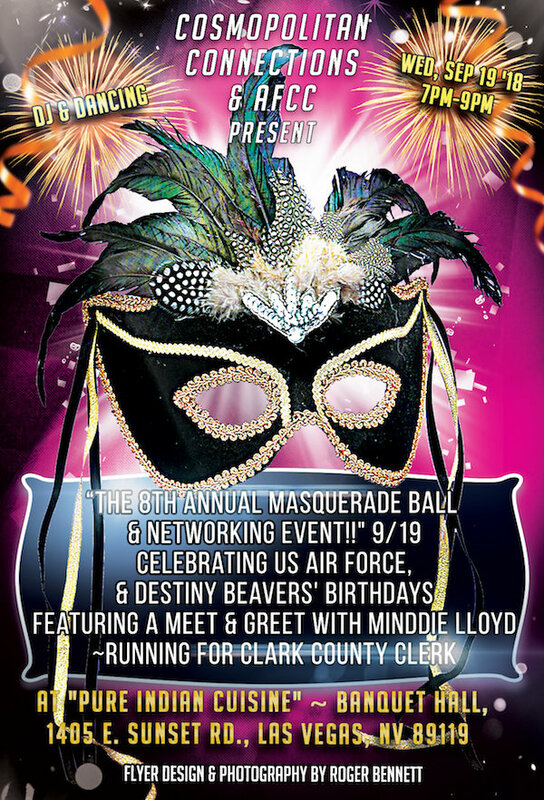 Featuring a Meet & Greet with Minddie Lloyd ~ Running for Clark County Clerk. Comedian and Cash Cab host Ben Bailey is returning to Las Vegas for a special performance at the Grand Events Center inside Green Valley Ranch Resort on Friday, September 21, 2018 at 8 p.m. Tickets start at $20 and go on sale Friday, July 27, 2018 at 10 a.m.
Before he got behind the wheel of the Cash Cab, Ben Bailey began his career as a stand-up comedian. As a young man, Bailey left his home in a small town in New Jersey and headed to Los Angeles to pursue his dream of a career in show business. Just a few weeks later, he found himself onstage at The Comedy Store on the Sunset Strip and knew right away he had found his calling. He soon after returned to the East Coast and quickly became a crowd favorite at the clubs in New York City. He has since performed at clubs and theaters around the world, as well as at all the major festivals, including Just For Laughs in Montreal and Chicago and The Edinburgh Fringe Festival. 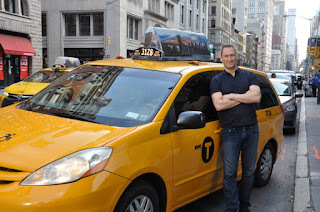 On December 4, 2017, Ben’s hit TV game show Cash Cab returned to The Discovery Channel. Bailey and his cab are back on duty, returning to the infamous streets of New York City to take unsuspecting passengers on the ride of their life. This time, the 6-time Daytime Emmy-Award® winning series sees unwitting passengers joined by a guest celebrity who will help them rack up the cash. Ben has starred in two specials for Comedy Central. His most recent, Road Rage and Accidental Ornithology, is currently streaming on Netflix. He has appeared in several commercials, on Last Call w/Carson Daly, The Late Show, The Tonight Show, The Today Show, The Oprah Winfrey Show, Rachel Ray, and virtually every major TV and radio show in the country. He has gone on to host several other series including Who's Still Standing for NBC, Best in The Business and After the Catch for Discovery. He has appeared in numerous other TV shows - 30 Rock, Parenthood, Law and Order, and One Life to Live, to name a few. He has also been featured in several films including Bad Parents, Don't Shoot the Pharmacist, and Bad Meat. Bailey tours as a national headliner; you can see him live at a Theater or Comedy Club in your area and in his latest Stand Up Special Ben Bailey Live & Uncensored. He can also be heard on his popular podcast Tall But True. Tickets for Ben Bailey are $20, $27.50, $32.50 and $45 plus tax and applicable fees for reserved seating. Doors open at 7 p.m. Tickets can be purchased at any Station Casinos Reward Center and The Fiestas, by logging onto www.stationcasinoslive.com or through Ticketmaster at (800) 745-3000 or www.ticketmaster.com. Get Out Of Vegas! Pahrump's Annual Fall Festival Is Coming! One of Pahrump’s biggest annual festivals returns to Petrack Park for four days of hometown fun September 2018. 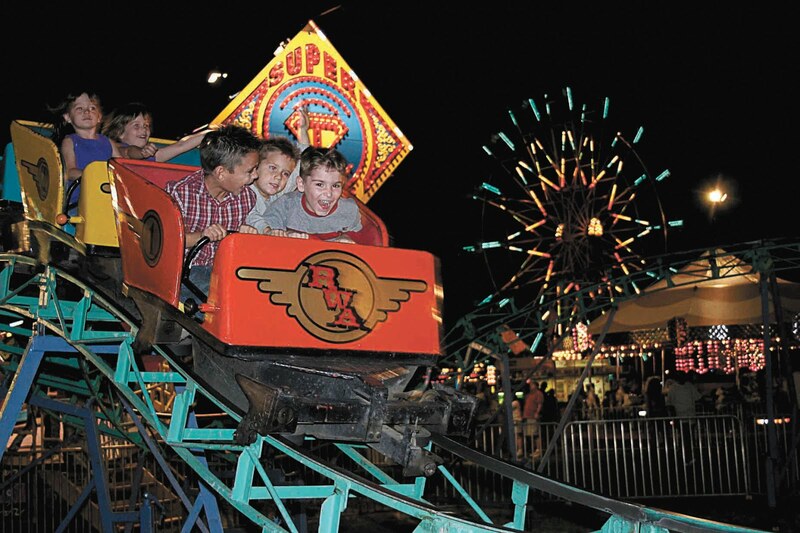 The family-friendly event will feature bull riding, monster trucks, motocross, midway games, carnival rides, several food and craft vendors, a car show, live entertainment, contests, and so much more. 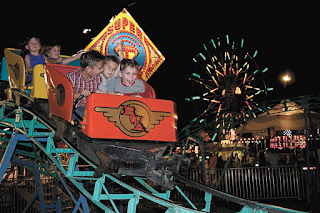 While admission to the Pahrump Fall Festival is completely free, unlimited carnival ride bands are $30 at the gate and $25 if purchased by Sept. 19. Rodeo tickets are $15 if purchased on the day of the event and only $12 if purchased by Sept. 19. Located an hour west of Las Vegas and an hour east of Death Valley, Pahrump, Nev. is home to big attractions and events, and is “Your Base Camp to Adventure.” Set in a picturesque backdrop with breathtaking views of mountain ranges, Pahrump is the ideal place to enjoy the best of Southern Nevada. From award-winning wineries and RV Resorts to world-class golf courses and scenic outdoor trails, true Nevada is waiting for you. For more information on Pahrump visit visitpahrump.com, follow twitter.com/visitpahrump on Twitter and Like Pahrump on Facebook - www.facebook.com/VisitPahrump/.